My former Creative Writing colleague Jo Baker has just published a novel entitled Longbourn, which is described on its front cover as ‘Pride and Prejudice: The Servants’ Story’. 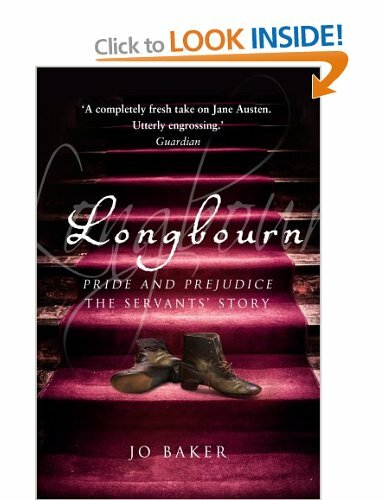 Here are a few early sentences from it: ‘The air was sharp at four thirty in the morning, when she started work. The iron pump-handle was cold, and even with her mitts on, her chilblains flared as she heaved the water up from the underground dark and into her waiting pail. A long day had to be got through, and this was just the start of it’. If the Victorian novel famously gave us the experience of the governess, marooned uncomfortably between the upper-class family she serves and the servants below stairs doing the actual manual labour that keeps the house going, Jo Baker’s novel plunges us instead directly and brutally into that world of lower-class work. 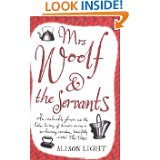 Similar projects of recovery of lost social experience have been undertaken in the world of scholarship too, as with Alison Light’s weighty 2007 tome Mrs Woolf and the Servants: The Hidden Heart of Domestic Service. So it is high time someone undertook such a study – creative or scholarly – in relation to the Morris family. We have had occasional remarks pointing in that direction, as when Michael Wilding remarked of Morris in 1980 that ‘his was a vision that depended on having had servants’; but the detailed spadework of recovery and recreation has not yet been done. Some of the Morris servants across the decades achieve a limited picturesque individuality in the best biographies – Mary Nicholson of Red Lion Square pre-eminently, but also old Philip Comely, the gardener-handyman at Kelmscott House who tugs his forelock deferentially at every available opportunity. But we don’t, I think, yet know very much about the cook, housemaid and coachman-groom at Red House, or cook Annie, housemaid Elsa and parlour maid Elizabeth at Kelmscott House. For the tenacious feminist Victorian researcher, there may well be rich pickings to be had here. Thanks for the reference, Jan, will have to chase it up. Good to know that we have an actual (rather than just imaginatively recreated) voice coming through. Plenty of other Morris servants left to research - or write novels about!